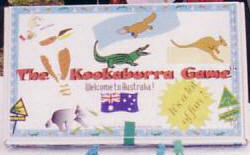 The Kookaburra Game used to be hand-made and boy, was it hard work ! 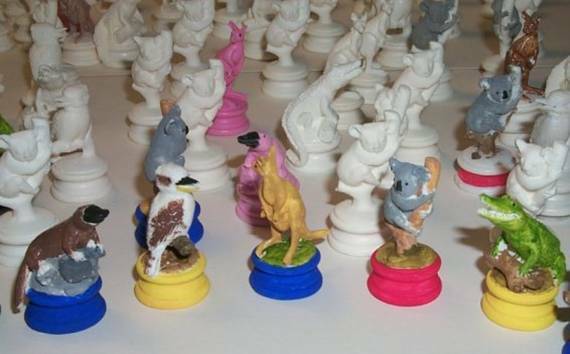 The animals were re-sculpted for the injection mould. Look at the tail of the kangaroo ! "No way, kangaroos never bent their tail" the mould maker were told ! 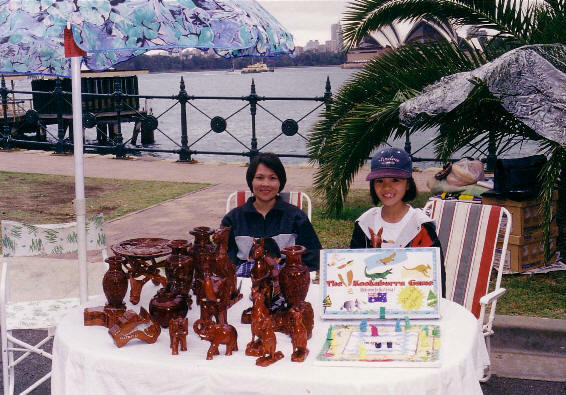 We went to Kirribilli Market in Sydney to sell the very first copy of the Kookaburra Game !